Dimensional Blonde hair can be so many different shades of blonde hair color. Blonde can be warm to cool. I was asking my client how and what she like to have her hair blond-ed, and I love that she said that she loves dimension. is a French word meaning ‘to sweep’ or ‘to paint’. It allows for a sun-kissed natural-looking hair colour, similar to what nature gives us as children. 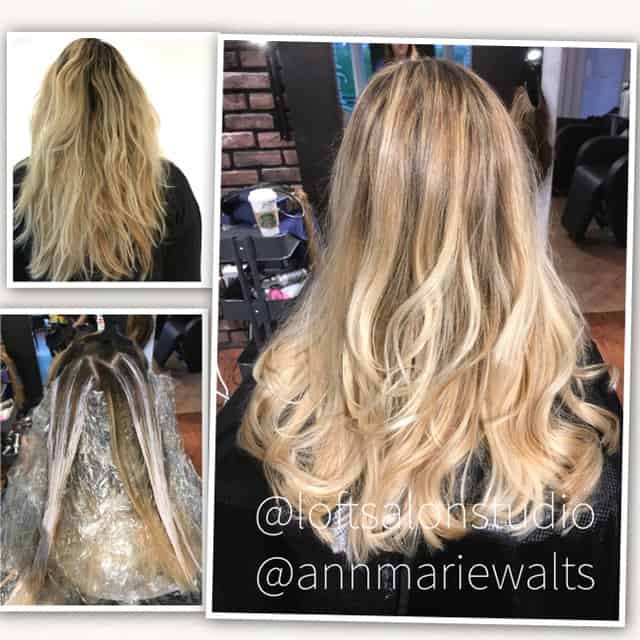 Balayage is really great hair coloring technique that is not only for lightening the hair, but also for hand painting “low-lights” or a bit of soft depth.